Here are five things you need to know about the Raiders’ Week 6 opponent. The Raiders and Seahawks kick off the NFL’s three-game 2018 London schedule on Sunday at Wembley Stadium. Jon Gruden’s squad is coming off a poor performance on the road against the Los Angeles Chargers. The Raiders (1-4) will look to bounce back against the Seahawks (2-3), who fell short in Week 5 versus the undefeated Los Angeles Rams. Marshawn Lynch will be facing his former teammates in the regular season for the first time since leaving Seattle in 2015. Well, sort of. There are many new faces, especially on defense, since Lynch last played for the Seahawks. 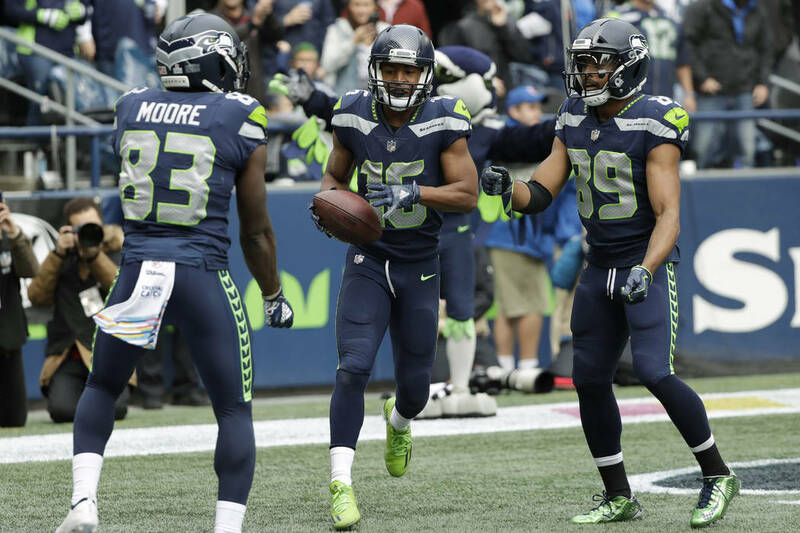 Standout linebacker Bobby Wagner is still on the team and he’ll be tasked with trying to tackle “Beast Mode.” Unknown names reside on the Seattle defensive line. Defensive tackles Shamer Stephen and Jarran Reed will try to stop the Raiders’ running game. Defensive ends Frank Clark and Quinton Jefferson will go after Raiders quarterback Derek Carr behind a banged up offensive line. Seahawks quarterback Russell Wilson isn’t having the best season, but he’s still capable of making dynamic plays. Wilson put the team in position for an upset against the Rams last week until they rallied in the fourth quarter. Wilson only needed 21 pass attempts to record three touchdown passes. For the season, Wilson is completing 62.7 percent of his passes with 10 touchdowns, three interceptions and a quarterback rating of 100.9. He could have a big outing against the Raiders’ poor secondary that continues to rotate cornerbacks. Wilson’s favorite receiver this season has been Tyler Lockett, who has stepped up during Doug Baldwin’s absence. Lockett has recorded 20 receptions, 347 receiving yards, four touchdowns and is averaging 17.4 yards per reception. Lockett has never recorded more than 664 receiving yards in a season since entering the NFL four years ago. Baldwin has struggled since returning to the lineup two games ago. Baldwin, who has had multiple knee injuries, only managed one receiving yard last week. Look for Wilson to get the former Pro Bowler more involved versus the Raiders. The Seahawks might have found their rotation at running back and it doesn’t involve first-round pick Rashaad Penny. Chris Carson and Mike Davis have given the Seahawks their first productive running game since Lynch left three seasons ago. It’s been a small sample size, but Carson and Davis have produced at a high level in the past three games. Carson has gone over 100 rushing yards in two out of the last three games. Davis recorded 101 rushing yards and found the end zone twice versus the Cardinals in Week 4. Seahawks coach Pete Carroll doesn’t seem in a hurry to increase Penny’s workload. The San Diego State product didn’t see the field last week versus the Rams. The Legion of Boom no longer plays for the Seahawks. The last remaining member, Earl Thomas, is out for the season with a broken leg and will be a free agent in the offseason. Cornerback Shaquill Griffin is having a solid season next to rookie Tre Flowers. Carr could pad the stats against Seattle’s inexperienced secondary.